The Borodin Quartet is unquestionably one of the great music ensembles of the past century. Founded in 1945 as the Moscow Philharmonic Quartet, the ensemble was renamed the Borodin Quartet in 1955. The world's longest-lived string quartet, its legendary original cellist Valentin Berlinsky retired in 2007 to be replaced by Vladimir Balshin but Berlinsky remained as the quartet's mentor until his death in December 2008. The Borodin Quartet is connected particularly with the quartets of Shostakovich. Its 60th anniversary CD was released by ONYX and won a Grammy nomination in 2006. Charles Dutoit was born in Lausanne, Switzerland and studied in Geneva, Siena, Venice and Boston. He was recently appointed artistic director of the Royal Philharmonic Orchestra as well as chief conductor of the Philadelphia Orchestra. Acknowledged as one of the UK’s most prodigious orchestras, the Royal Philharmonic Orchestra (RPO) enjoys an international reputation for bringing audiences worldwide first-class performances and the highest possible standards of music-making across a diverse range of musical repertoire. This was the vision of the orchestra’s flamboyant founder Sir Thomas Beecham, whose legacy is maintained today as the orchestra thrives under the exceptional direction of its new artistic director and principal conductor, Charles Dutoit. Described as ‘a stunning Gilda’ and ‘a hugely talented artist’, soprano Chen Reiss has performed leading roles at the Vienna State Opera, Bavarian State Opera, Theatre des Champs-Elysees, Teatro alla Scala, Semperoper Dresden, Deutsche Oper Berlin, Hamburg State Opera, Wiener Festwochen, Maggio Musicale Fiorentino, Opera Company of Philadelphia and the Israeli Opera. 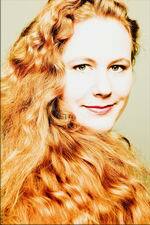 Christianne Stotijn is a remarkable young Dutch mezzo-soprano. Stotijn is a BBC New Generation Artist 2005-6, Winner of the Borletti-Buitoni Trust prize 2005 and the ECHO (European Concert Halls Organisation) Rising Stars Award 2005-6. Stotijn has made 3 highly praised ONYX recordings of songs by Schubert, Berg, Wolf, Mahler and Tchaikovsky. Frankfurt-born soprano Christine Schäfer is a graduate of the Berlin Conservatoire. A versatile artist, Christine's operatic repertoire covers works by Handel, Mozart, Berg and Verdi and her concert repertoire ranges from Bach through Boulez. Her regular collaborators include Claudio Abbado, Pierre Boulez, Nikolaus Harnoncourt and Christian Thielemann. A dedicated performer of Lieder, Christine enjoys a busy recital career and has made several recordings of Lieder for both Hyperion and DG. Her recent collaboration with Onyx Classics has earned her outstanding reviews for Schubert’s Die Winterreise and her highly-personalised collection of Purcell and Georg Crumb, both together with Eric Schneider. Percussionist Colin Currie has established a unique reputation for his charismatic and virtuosic performances of works by today’s leading composers. He has appeared with many of the world’s most important orchestras – the London Symphony Orchestra, London Philharmonic Orchestra, Royal Concertgebouw Orchestra and Philadelphia Orchestra among them. 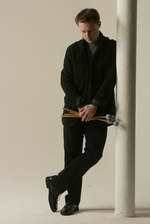 Regularly commissioning new works, he has made an inspirational and innovative contribution to percussion repertoire. 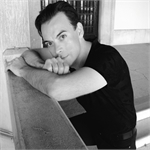 Dejan Lazic, pianist and composer, was born into a musical family in Zagreb, Croatia, and grew up in Salzburg, Austria, where he studied at the Mozarteum. His fresh interpretations of the repertoire have established him as one of the most unique and unusual soloists of his generation. Lazic collaborates with world-renowned orchestras and has built close collaborations with some of today’s most sought after conductors. He is also active as a recitalist, appearing regularly in major venues. Dejan Lazic’s compositions are receiving increased recognition, and he was recently signed as a composer by Sikorski Music Publishing Group. He now lives in Amsterdam. Denis Kozhukhin was launched onto the international scene after winning First Prize in the 2010 Queen Elisabeth Competition in Brussels. Previous awards include 1st Prize at the Vendome Prize in Lisbon in 2009, and 3rd Prize at the Leeds International Piano Competition in 2006.